Neptune Beach is a beachfront city east of Jacksonville in Duval County, Florida, United States. 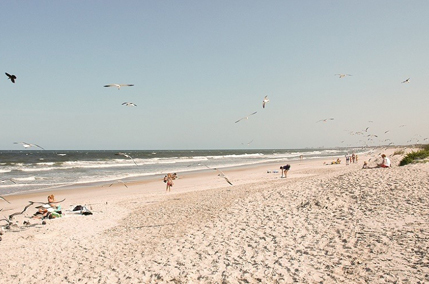 Neptune Beach is part of the Jacksonville Beaches community. Neptune Beach is one of several towns on San Pablo Island, which stretches through two counties (Duval and St. Johns) and extends from Naval Station Mayport at its northern tip to Vilano Beach in the south, across from St. Augustine. The city was originally part of Jacksonville Beach. Through its development, the part of Jacksonville Beach north of 20th Avenue North was sparsely populated, with a brick road (First Street) connecting the more populated southern area with Atlantic Beach. Neptune seceded from Jacksonville Beach and incorporated as its own municipality in 1931.